Many ministries boast of large numbers of converts or decisions. Numbers are not hard to achieve. 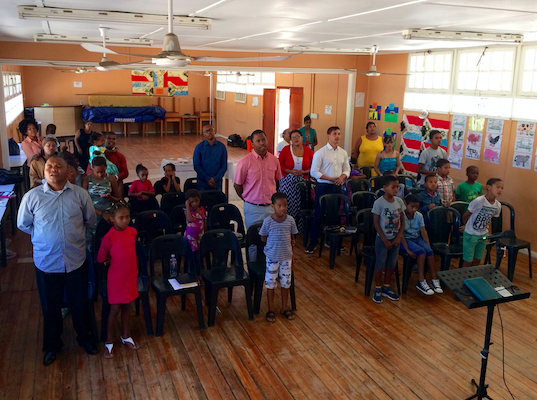 But the real fruit of true Gospel ministry is the power of God seen in transformed lives. Living among gangsters and drug addicts, Mario Maneville has witnessed this miracle many times. He is not hasty in reporting changed lives, but waits to see if the fruit endures. In the last article, he told of gang leaders and drug addicts showing lasting change. In this article, Mario tells of two women in the church displaying beautiful fruit of the Spirit. At the beginning of last year, my wife and I started counseling a married couple in our church. The wife suspected that her husband was having inappropriate relationships with other women, especially with an ex-girlfriend. He denied it, saying that he was just being friendly and helpful to people who were friends before meeting his wife. They agreed to put certain boundaries in place and meet with us on a weekly basis. Three months into counseling, we got a call from his wife saying that he left her for the ex-girlfriend. She also told us that he discovered that he was never saved. This man went back into a life of drugs after being free from it for four years. When he fell sick and was kicked out by the girlfriend, he went back to his wife. She nursed him back to health and he cheated on her again, this time with three other women after going back to the ex-girlfriend. This woman’s heart has been broken several times by this man who married her as a virgin. They have one child together. Once again he is not well and once again he has come back home. This dear sister of ours has decided that she would best serve God by being a godly wife to her adulterous husband. She is determined to keep on trusting God for his salvation and the restoration of her marriage. Many times she wanted to give up, but then she reminds herself of Romans 8:28. Her husband needs Christ as much as those to whom she shares the Gospel all over our community. (right - one of the ladies from Mario's church shares her testimony before he preaches). This lady is such an encouragement to our church! She always has a word of encouragement for the saints and she is always rejoicing in the Lord. She knows that God would get greater glory if her husband got saved and their marriage was restored, rather than going through a divorce that for many would seem reasonable. It is uncommon for a woman growing up in our community to finish school and complete studies in computer skills and administration. Especially if she used to be a drug addict involved with one of the most notorious gang leaders (Theo) in our community. This is our sister Candice. Always joyful, always laughing, and always able to lift up the spirit of the downcast soul. For almost two years, the church prayed that the Lord would provide Candice with a job that would fit her skill set. The Lord answered and provided her with a two year contract as an admin clerk. 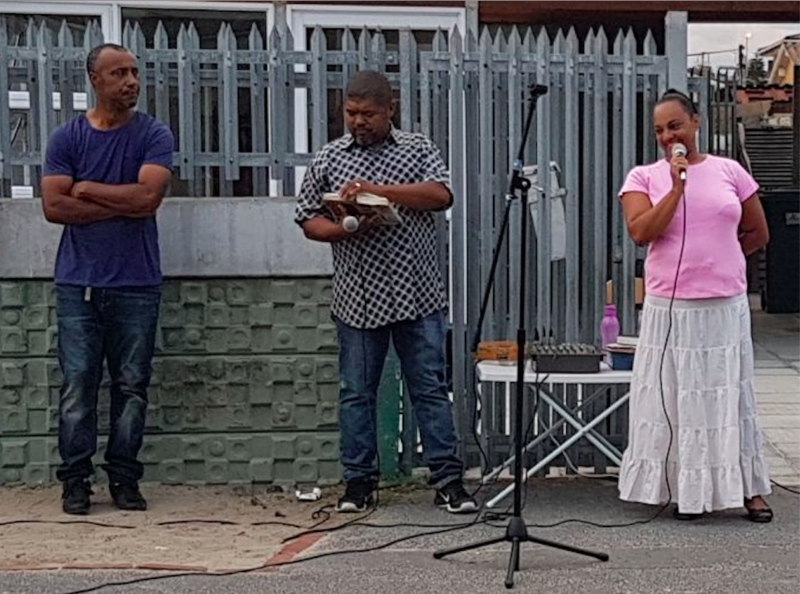 After the contract ended, the church started praying for a permanent job for our sister. Within months she got called for an interview, and after a few weeks she received notification that she got the job. During our next prayer meeting she broke the news to the church. She was overjoyed and filled with gratitude that the Lord would answer in such a short while. She could not stop praising the Lord for His faithfulness and admitting her unworthiness for such favor from God’s hands. It was truly a time of rejoicing for us all. 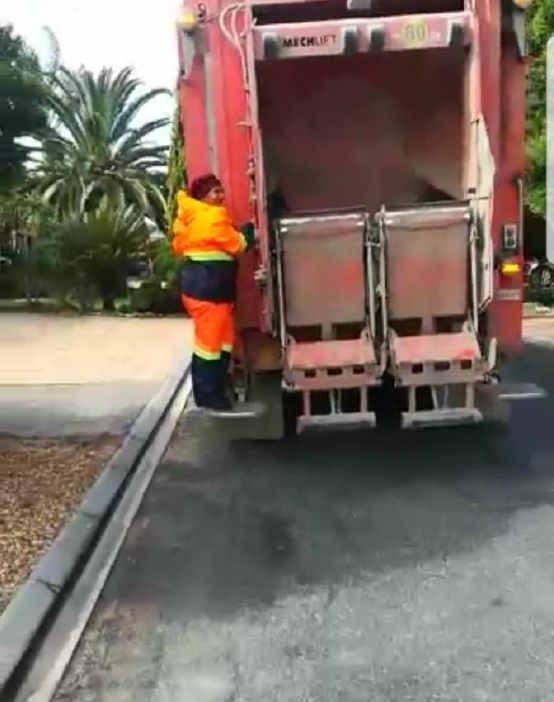 All of us assumed that she got a permanent job as an admin clerk, until she told us that she will be running behind a garbage truck, collecting waste (below). We were so surprised that she would be so excited about this kind of job. I asked her why she would be so excited about collecting waste when she has been sitting behind a desk in an office for two years. Her answer impacted all of us. She responded by saying that the Lord had answered her prayer. The Lord gave her this job. She was excited and grateful that the Lord had provided for her and that the Lord is sovereign in His choice for her. Her satisfaction is in Him, therefore she is grateful for whatever He provides. She then continued to talk about how fit this job will make her, and how she knows that the Lord is sending her to people that must hear the Gospel. That was in September and she is still busy at her new job, shining for Jesus and sharing the Gospel with her colleagues.